Quality Junk Hauling, Furniture Moving and Assembly Services starting at $65 & Up! Prices starting at $65 and up! We have been providing quality furniture moving, junk hauling and bulk trash pick up services in Baltimore city, Baltimore County, Towson, Columbia and the surrounding counties for more than 14 years. Prompt and courteous service that can’t be beat! It’s always a good time for home cleaning. 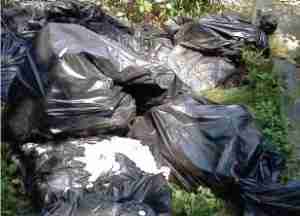 We will remove the unwanted junk and trash from your basement, garage, yard or your attic. It’s always a great time to get rid of all the past years’ unwanted junk and trash that is sitting there collecting dust and taking up space. If you are planning to purchase un-assembled office furniture, bedroom furniture, or exercise equipment online or from stores like Ikea, Value City, or Walmart, why deal with the aggravation of those hard to understand instructions. Let us assemble your treadmill and bedroom dresser for you professionally and properly. Stress Free. Our affordable furniture moving, junk hauling and bulk trash pick up services will promptly remove your unwanted furniture, exercise equipment, trash, and appliances. Services include small amounts of concrete, brick, dirt, and branches. We haul away light construction material & debris as well, including items that are too big to be set out with the regular garbage. Our trash hauling services will collect a few items or haul away your unwanted junk by the truck load. Schedule with us to clean out your house, garage, attic, or basement when you’re preparing to move or sell your home and we have a variety of pricing to fit any budget. Belle’s Hauling and Moving will tidy up your home or garage. Our services include small apartment and office moving or just a few things. Large moving companies equal large prices. With Belle’s Hauling and Moving you don’t have to worry about unnecessary high prices for furniture moving, junk hauling and bulk trash pick up services. Our vehicles include economically priced pick up trucks, as well as efficient moving vans. If you’re relocating here from out of town or driving in from out of state let Belle’s Hauling and Moving LLC load or unload your Moving Van or Pod. When you need furniture moved around in your home, don’t break your back…..call us! 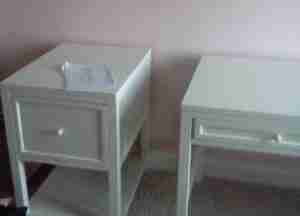 We’ll pick up and deliver your newly brought furniture for less than store delivery charges. Our Mission is to service customers with pride and quality, while remaining cost efficient. This is the reason why 90% of our clients are repeat business and referrals. This is why Belle’s Hauling & Moving is Baltimore, Maryland’s premier junk hauling and furniture moving company. Click Here to view more of our services! Thank you for making my moving day absolute pleasure! Lita and her colleague were both tremendous help and they handled my belongings with the utmost care. The service I received was excellent from the moment I booked. In fact, I gave Lita a wrong estimate of the number of items that had to be moved. Without hesitating, even for a second, they moved every single item at no additional cost!! I didn’t have to ask. How rare is that! For peace of mind and great value, I highly recommend Belle’s Hauling & Moving. I have used Belle’s services twice (always a good sign) and both times I was thrilled with the service. The first time I used them to help me move furniture within our house as we were rearranging rooms and needed furniture moved between rooms including from the basement to the 2nd floor. They were fantastic. When one of my very large IKEA wardrobes would not fit through the door, she took it apart and reassembled it. It was amazing. So when we needed to have trash and old furniture removed because we are remodeling our basement, we called Belle. 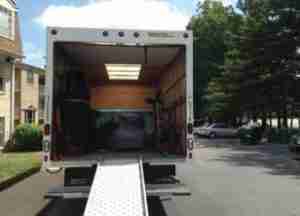 We sent photos of what we wanted moved and within 24 hours, we had an estimate and a date. It was so easy and they were great. They were prompt, efficient and pleasant. They were careful with my daughter’s property and did not waste any time. A five star rating is seldom deserved but these people deserve it.